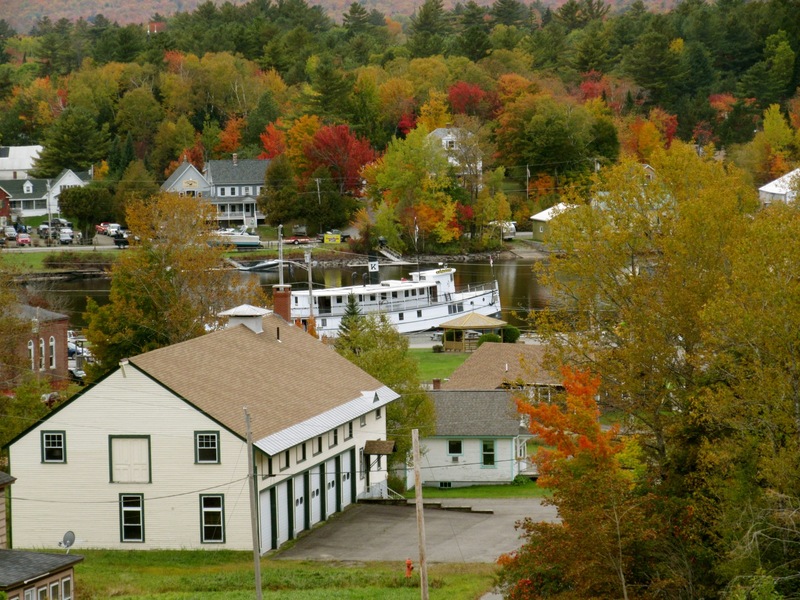 WHY GO: Greenville ME is the largest town on the vast Moosehead Lake, which isn’t saying much, as it’s a tiny place with incredible scenery and history. And, of course, moose. The lake is utopia for fishermen/women, and has been drawing tourists since a certain Massachusetts author penned “The Maine Woods” in 1853. Visit in September or October, and you’ll be rewarded with some of the most stunning foliage you’ll see anywhere. In winter and summer, logging roads vibrate with noise from ATV’s and Snowmobiles. Hunting and fishing is huge here, too. 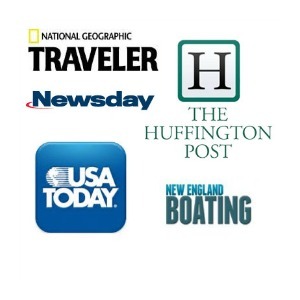 Come anytime, and you’ll be blown away by the caliber of lodging and dining as well. If you just want to sip a glass of wine on a porch overlooking the water and de-stress come sundown, this is one of best places on earth to do that. These days, when it’s getting more and more difficult to find true wilderness, Greenville and Moosehead Lake is a revelation. 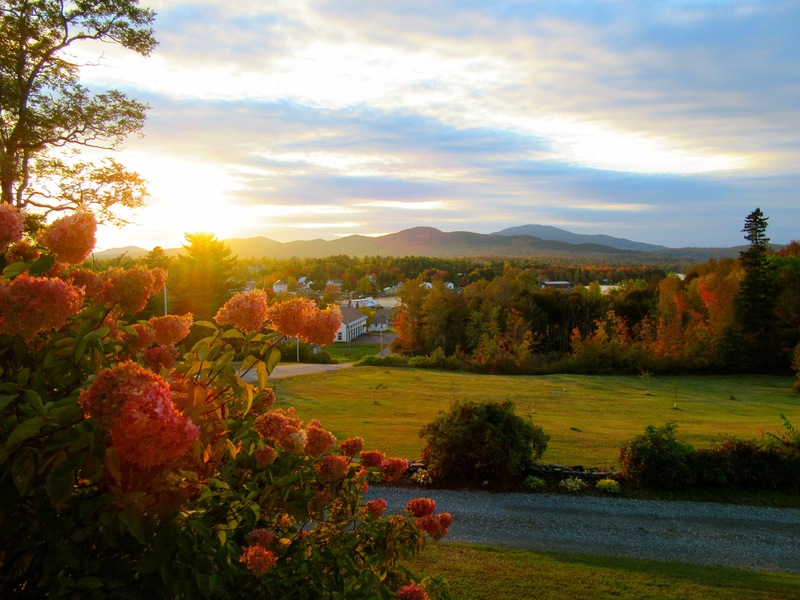 TOUR: 3-Hour Narrated Cruise on the Katahdin. Named after the mountain seen in the distance (the beginning or end of the Appalachian Trail depending on which direction you hike) this 115 ft. diesel-powered workhorse of a ship once hauled thousands of cords of pulpwood across Moosehead Lake to the head of the Kennebec River. Now, it hauls tourists on a wonderful narrated tour of this forty mile long, 18 mile wide body of water in mid-northern Maine – the largest single freshwater lake within state’s boundaries east of the Mississippi. Built at Bath Iron Works in 1913, and operating as a log-boat till the mid 1970’s, the Katahdin is full of pictures of its past that line heated rooms inside. But you’ll want to stay outside when the weather is warm, to see ubiquitous float planes and possibly catch sight of bear, falcons, loons, ospreys, blue and green Heron, lynx and coyotes that make their home here. 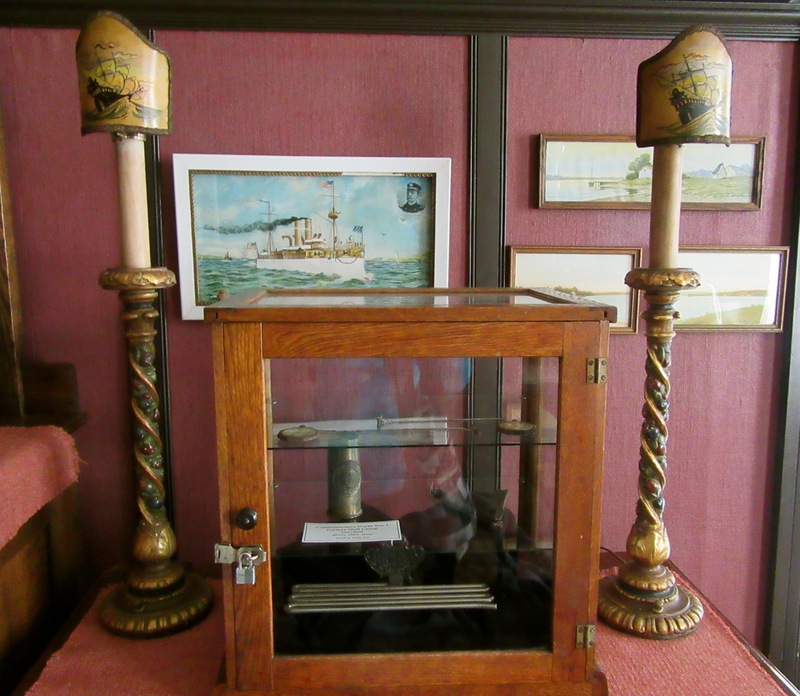 Before or after the cruise, be sure to stop in to the Moosehead Marine Museum for further history – and some incredible photos – re: Moosehead Lake. Open seasonally, check on website for ticket prices and dates. 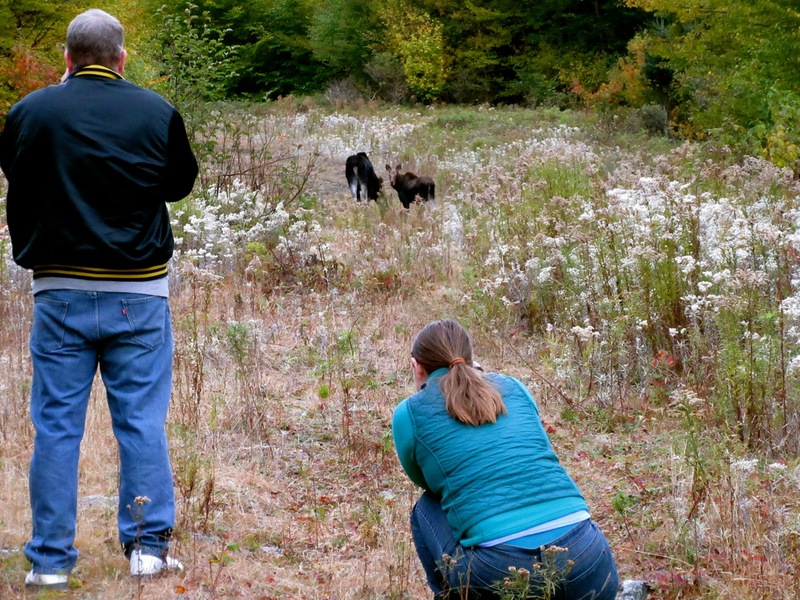 TOUR: Moose Safari with Northwoods Outfitters. According to Northwoods Guide, Steve Sullivan (who also guides Waterfall Hikes, Snowmobile Trips, Canoe/Kayak Trips and Fishing), “Pond weed is like chocolate to a moose.” To see these bashful, ungainly creatures, you’ve got to head out at dusk (5:30AM), when moose are most likely to be eating in a woodsy cove or slow-moving stream. 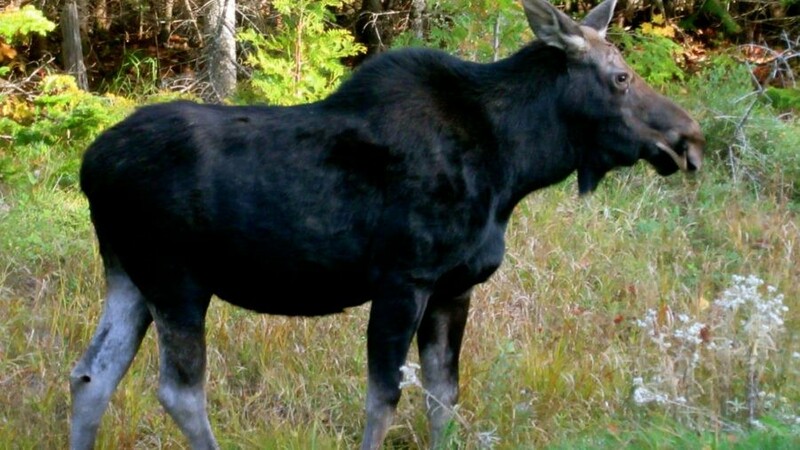 Though the route is up to the discretion of the guide, this guided Moose Tour will take you on the dirt logging roads that criss-cross the Moosehead Lake region, a lovely way to see the area even if you don’t spot one creature. But chances are you will. There are an estimated 60,000 of these “half-ton ghosts” in Maine (a moose population second only to Alaska), so keep your camera ready. May-November, $40. FLY: Float Plane Tour. They are billed as “Seaplanes” but there’s no sea in sight. Regardless, there’s no better way to get an overview of Moosehead Lake than from one of these flying hybrids, and you can get up in the air for as little as $40. Several companies around the lake offer aerial tours, so pick one and fly high. (And see why this lake is called “Moosehead.”). Both Jack’s Air Service and Currier’s Flying Service have been around awhile. 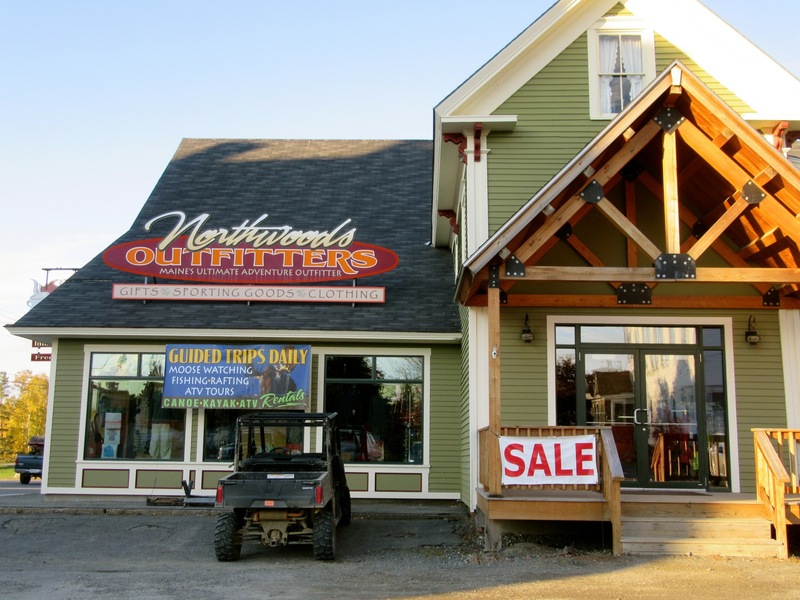 VISIT: Museums of Moosehead Historical Society. Historical society museums can be cluttered, dreary, disheveled things. Many are run by volunteers who must make due with the resources they have. 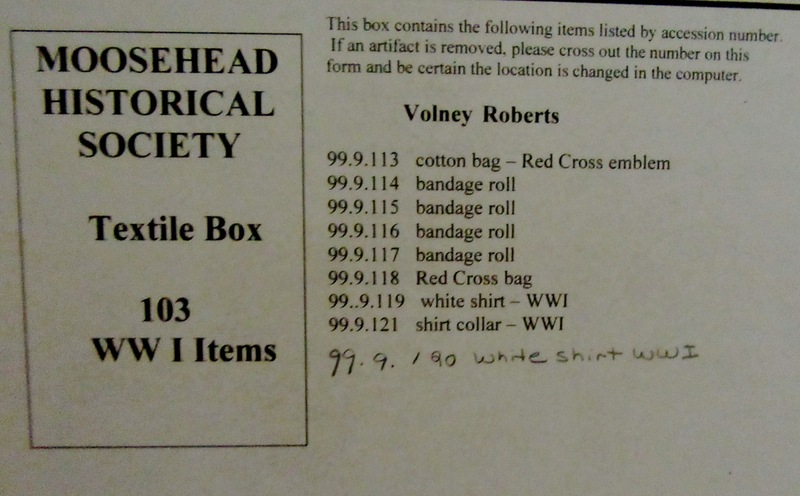 But not here at the Center For Moosehead History, which has a full-time paid staff member (thanks to a generous endowment), Candy Russell, who happens to be a wiz at documenting, curating and developing themed exhibits throughout four buildings. With a focus on local history – sporting lodges, tourist steamships, and lumber, a docent led tour is a fascinating way to delve into what many would consider true wilderness but was and is in fact a thriving community. In the mid 1800’s, a railroad spur connected the well to do from Bangor, Boston and New York City to both the exclusive Kineo Club and Greenville. Hotels dominated the landscape, and steamships carted both tourists and logs from one end of Moosehead Lake to the other. 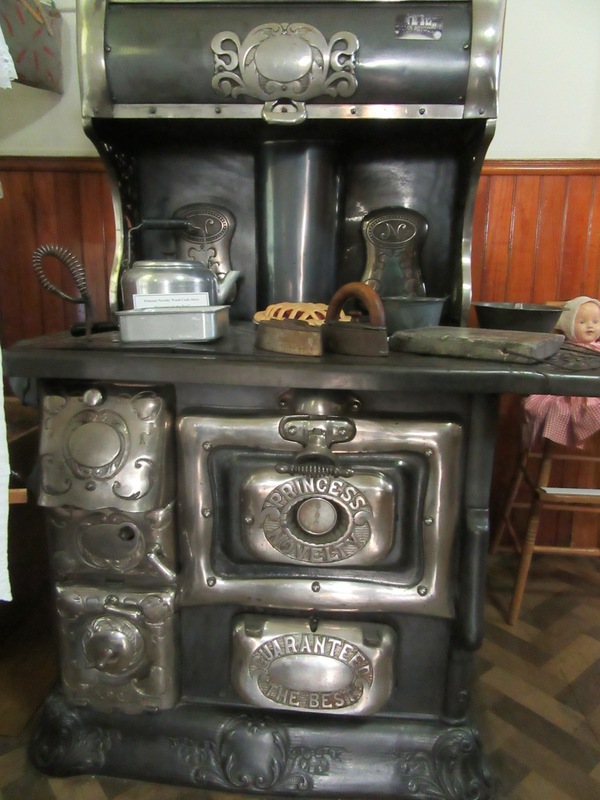 A tour brings you first to the Carriage House – which serves as a museum of logging and boating, housing a one room schoolhouse and medical implements from the office of country doc Pritham who was known to perform surgery on kitchen tables. You’ll also wander through the wonderfully furnished rooms of the 1893 Eveleth Crafts Sheridan House – a repository of cool Victorian age appliances (a grand Princess Novelty Cook Stove and warming shelves that fit over the radiator), a teen’s room of the day (belonging to a young man who died at age 16), and a stash of period clothing and artifacts in the attic impressively and meticulously cataloged in boxes and clothing racks, seemingly ready for an HBO TV period drama. 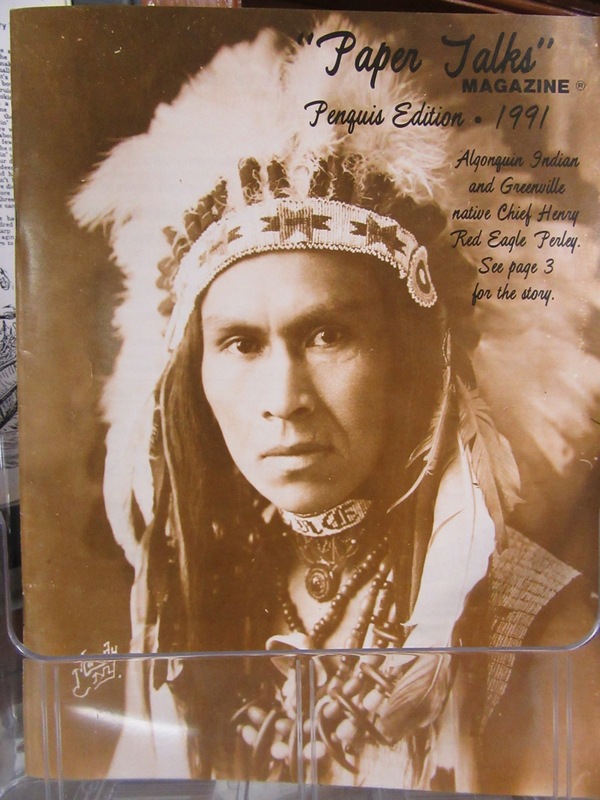 In town, the Moosehead Aviation Museum (also part of the Historical Society and housed in the former Universalist Church), displays the book that boosted tourism here in 1853, Henry David Thoreau’s “The Maine Woods,” information about Moosehead Lake resident Chief Henry Red Eagle, born Henry Perley in 1885, who as a young man performed in Buffalo Bill Cody’s Wild West Show, and a range of other Moosehead Lake personalities. There are plenty of photos about bush and seaplane pilots, as this was the primary way that fishermen and other sportsmen and women got up to these wilds. In fact every year, over 20,000 people from all over the world show up for “Fly In” the weekend after Labor Day, which celebrates this form of transportation. 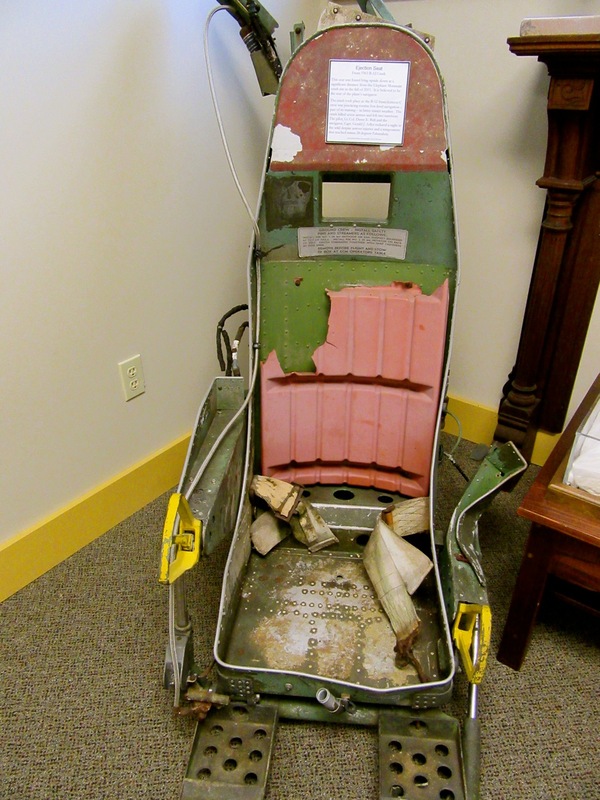 Perhaps the most affecting artifact here, though, is the ejection seat from the 1963 B-52 crash, found “a significant distance” from its crash site, in 2011. Tours mid-June-early October Wed – Fri at 1pm and 4pm. Carriage House office open Tue-Frida 9-4. HIKE: B-52 Crash Site on Elephant Mountain. In 1963, a B-52 crashed while on a training mission from Westover MA. Two of the 9 aboard survived – but had to spend one night in extreme winter temperatures on the mountain. Much of the debris has been preserved, and you can see it and pay your respects on a short 400- yard hike to the wreckage and memorial. GOLF: Mount Kineo Golf Club. 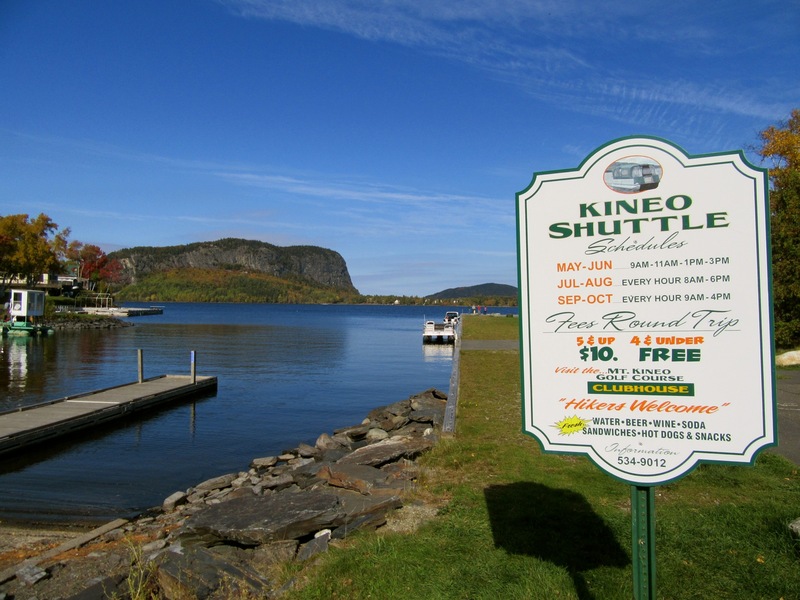 You have to take a ferry from Rockland (about 10 miles from Greenville) to get to the course, situated beneath the magnificent Kineo Cliffs. Between the cliff and the lake, this is arguably one of the most dramatically located golf courses in New England. $20 for 9 holes, shuttles $5. In season only. 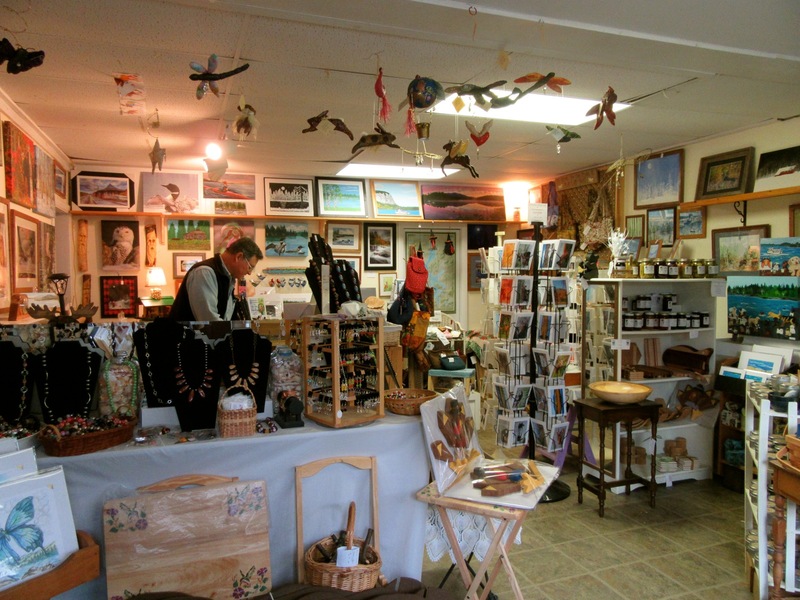 SHOP: Gallery on the Lake is the place to go for hand-carved wood, paintings and other local Maine Art. EAT: Greenville Inn. The menu is quite inventive for this neck of the woods, with the chef working wonders with locally sourced produce and meats. The House Made Sausage with White Beans ($15) and Butternut/Lobster Bisque ($10) are excellent, and I’d return for Terry’s popular recipe – Amish Crusted Chicken Dijon, which I polished off in one sitting. (Something tells me doggie bags are rare here for this very reason). I heard excellent things about the sweet-but-not-cloying Root Beer Short Ribs ($24) and watched diners happily tuck into the reasonably priced Stuffed Maine Lobster ($29). EAT/LUNCH: Kelly’s Landing. Seas planes land and then pull up to the deck of this casual eatery. Food is good, views are great. The place can get crowded on a sunny afternoon, so be prepared to wait. STAY: Greenville Inn. You’ll find astounding woodwork and museum-quality stained glass in this former lumber baron’s home – now a 17 room B&B – but it’s the warm welcome and hospitality of the owners, Jeff and Terry, that keep guests coming back. 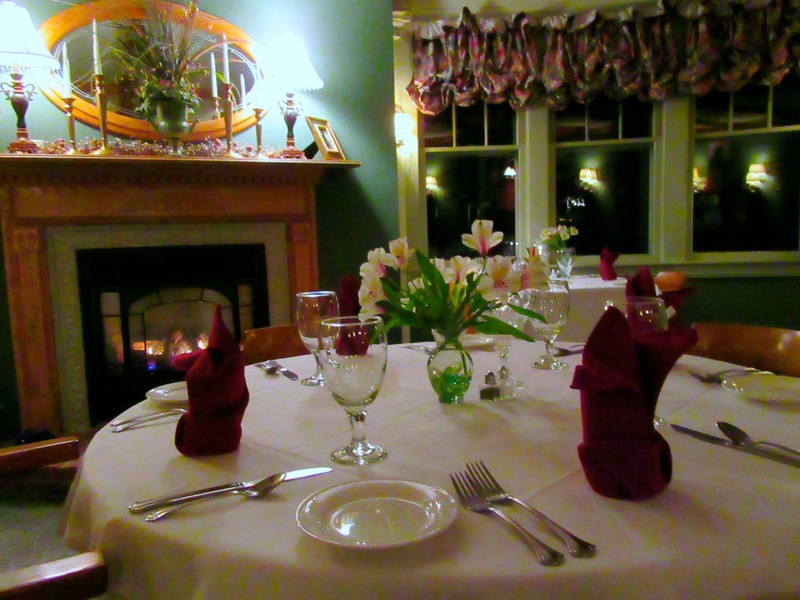 Upscale casual, with some rooms overlooking the lake, town and the S.S. Katahdin at dock, Greenville Inn is a lovely haven just a few steps from gift shops on Main St. 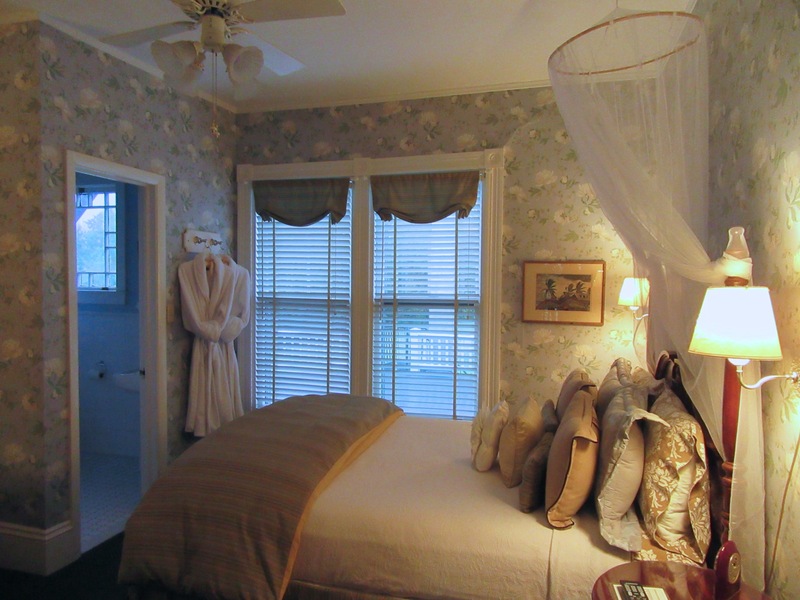 Rooms are Victorian chic, with real antiques and comfy bedding. But it’s the common rooms that impress. 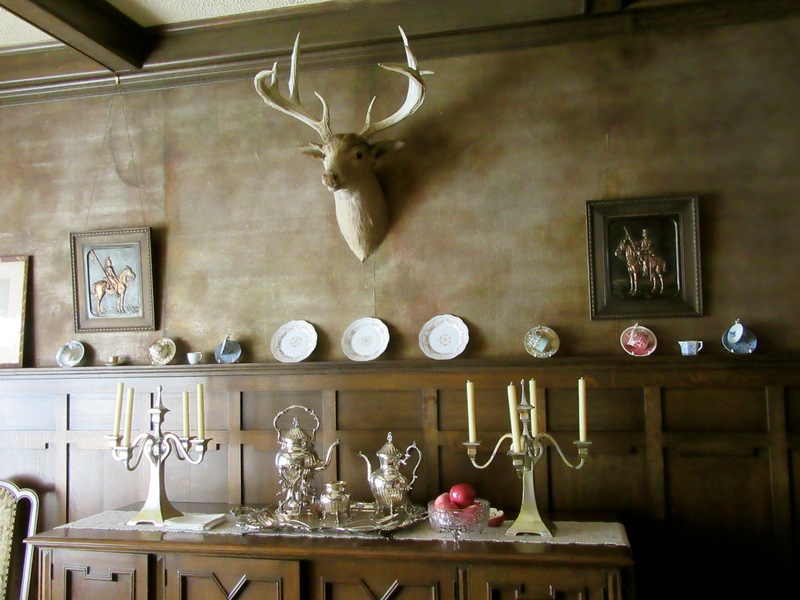 Deeply stained carved wood, Venetian glass lamps and sconces, and other architectural details have been preserved. The porch, enlivened by flower baskets and wicker furniture, overlooks the lake. You’ll want to grab a glass of wine or coffee and just sit outside to watch the sunrise or sunset – it’s that stunning. 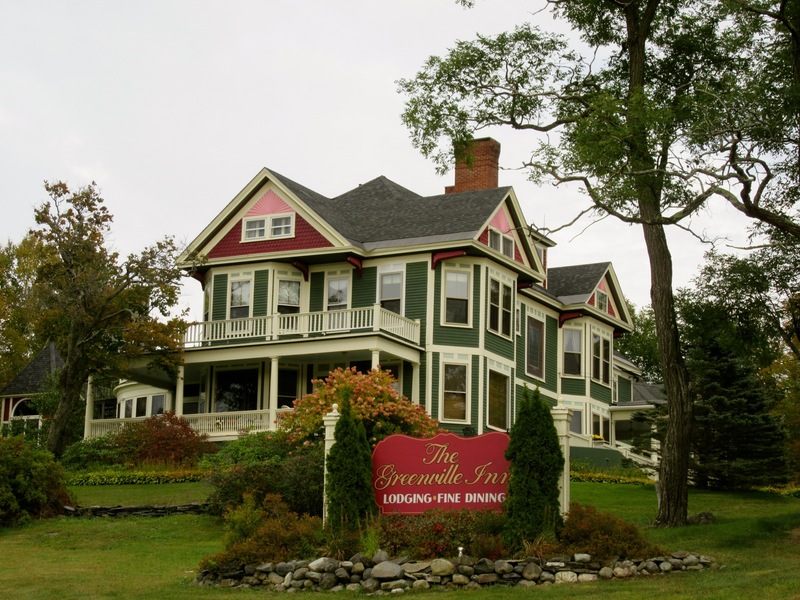 Though many attractions close in October in Maine, the Greenville Inn is a four season establishment. In winter, says Terry, “snowmobilers come in droves.” Most bring their own and go out on trails that start right outside the door. Breakfast in the morning is a hot buffet, but Jeff is happy to whip up a custom meal for anyone with dietary restrictions. Rooms and Suites $175-$315 include hot buffet breakfast. 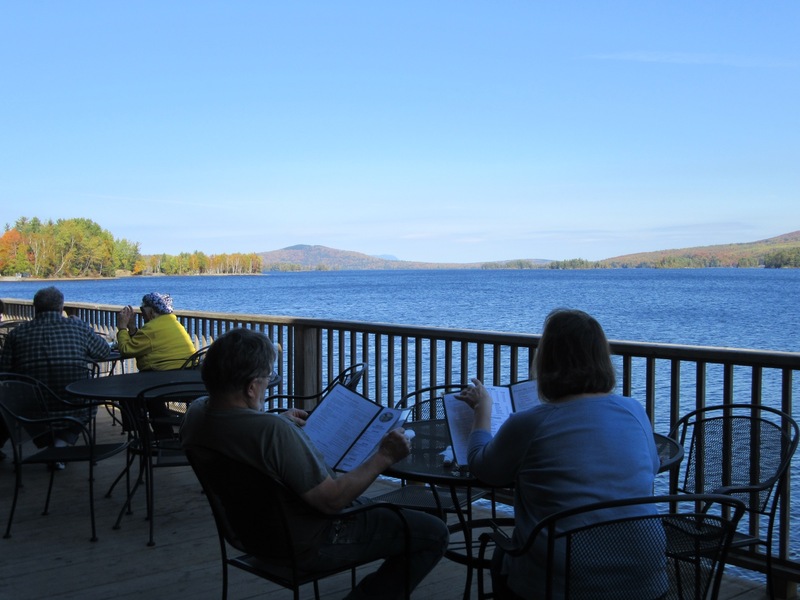 STAY: Both The Lodge at Moosehead Lake and Blair Hill Inn have also won rave reviews from visitors.